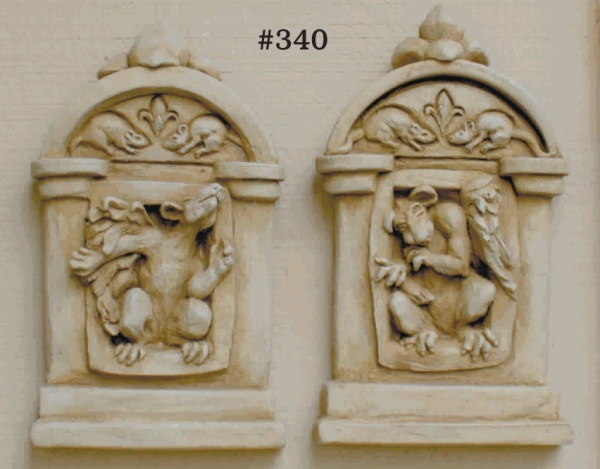 #340 GOTHIC WINDOW PLAQUES (PAIR), 5” W x 8-1/2” T x 1-3/4” D (2 lbs. each) Ready to hang or stand, this pair of whimsical winged rodents are sure to be noticed. Cast in resin with antique gray finish.